I absolutely love the slow cooker, and it is so underused in my kitchen. Especially in the warmer months. We tend to do a whole lot more grilling; who doesn’t? But, the slow cooker is good in the summer too because it doesn’t heat up your kitchen, and you can enjoy the wonderful weather in the evening instead of trying to get dinner on the table at a reasonable time. We’ve all been there. I saved this recipe about a month ago for several reasons. 1) As mentioned above, I need to use my slow cooker way more. 2) I like the sound of all the ingredients in this recipe. 3) I’m a sucker for any type of pulled pork sandwich. 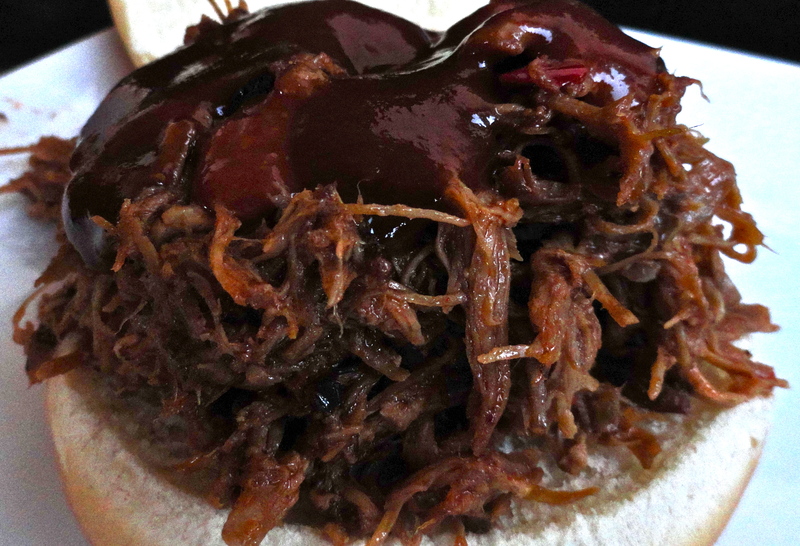 4) I had a pork shoulder in my freezer that I had purchased on sale a few weeks back calling my name (and this recipe’s name). 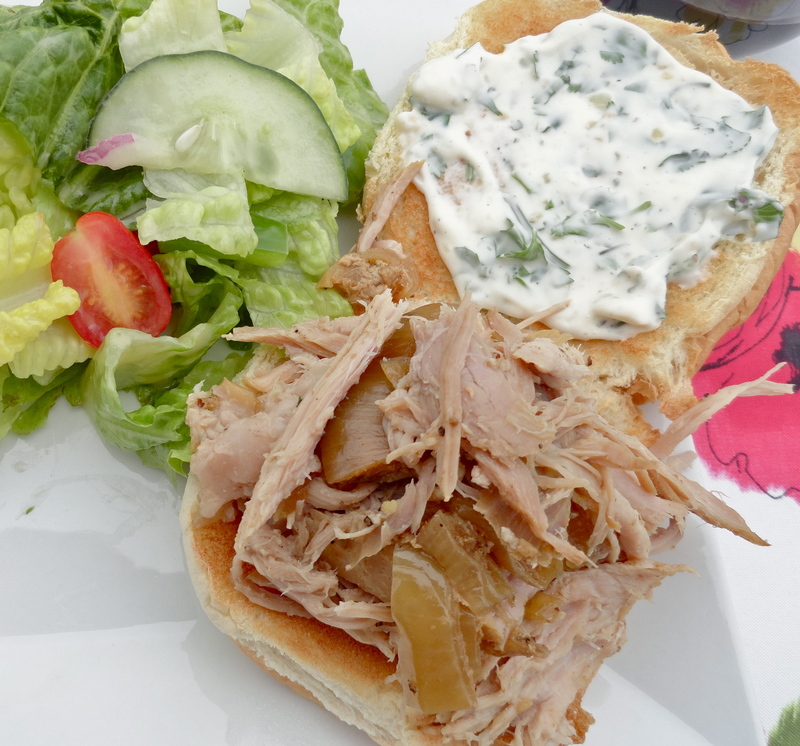 Normally, I probably would have just made BBQ pulled pork sandwiches with the pork shoulder, but we’re adventurous and wanted to try something a little different. This was perfect. Everything came together super quickly, and I had everything on hand already – with the exception of a lime. I pretty much always have lemons and limes on hand, but just happened to be out when I was pulling this together. Seeing as though I was doing it before work, I really didn’t have time to run to the store, so I forged ahead without the lime juice. I feel like that was a mistake. 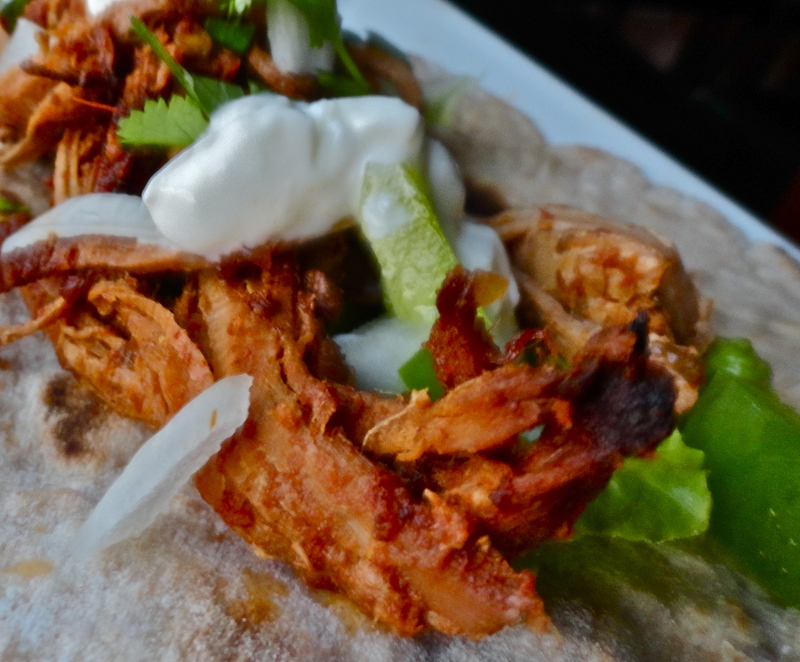 The pork was still really tender, moist and delicious, but it seemed like it was lacking a bit of freshness, which I’m sure the lime would have contributed. The cilantro mayonnaise was great! Nate said he didn’t think it added much to the sandwich, but I liked it and it was a change from my usual BBQ and/or hot sauce. 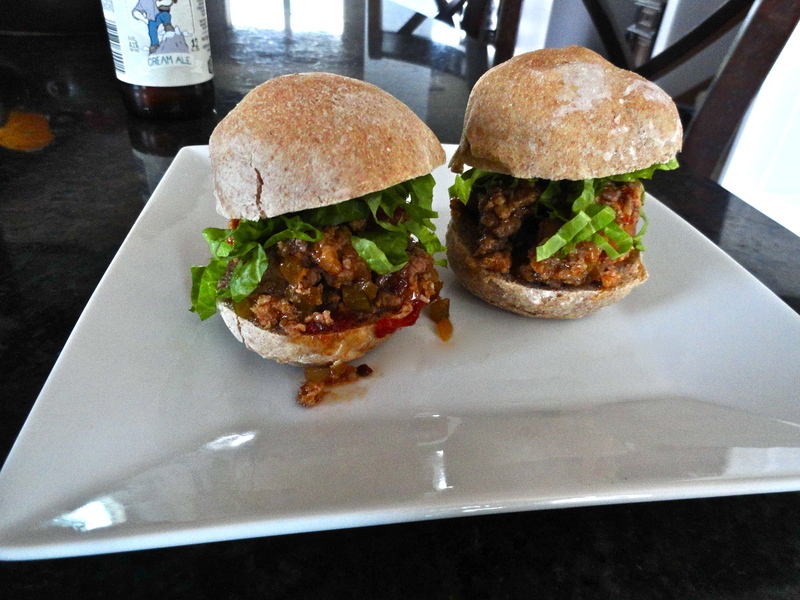 When we had leftovers, we added a little mango Habanero hot sauce to our sandwiches and they were awesome! This would be an excellent meal for company on a Friday night so everything is ready to go when you get home from work and you have little prep. You can focus on cleaning those last little places and getting cocktails and appetizers out instead of worrying about the main event! 1. Arrange onions on bottom of slow cooker. Place pork shoulder on top. 2. In a small bowl. combine brown sugar, garlic, salt and pepper. Sprinkle over pork. Pour lime juice and water around pork. 3. Cover and cook on low for 8-10 hours, until pork very tender. Meanwhile, combine ingredients for cilantro mayonnaise and refrigerate until ready to use. 4. Remove roast from slow cooker and pour liquid into bowl. Return roast to slow cooker and shred with two forks. Skim fat from reserved liquid and pour about 1 cup skimmed liquid over pork. 5. 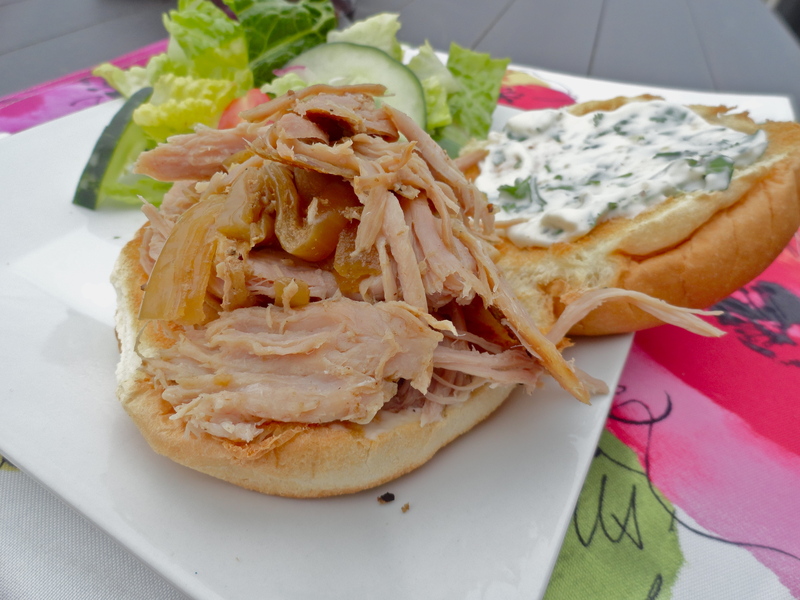 To serve, spread cilantro mayonnaise on one side of the bun and top with pork. A few nights ago I hosted my second fantasy football draft at my house. I must say, the Madtown Muskrats will be pretty good, so my cousins best watch out! 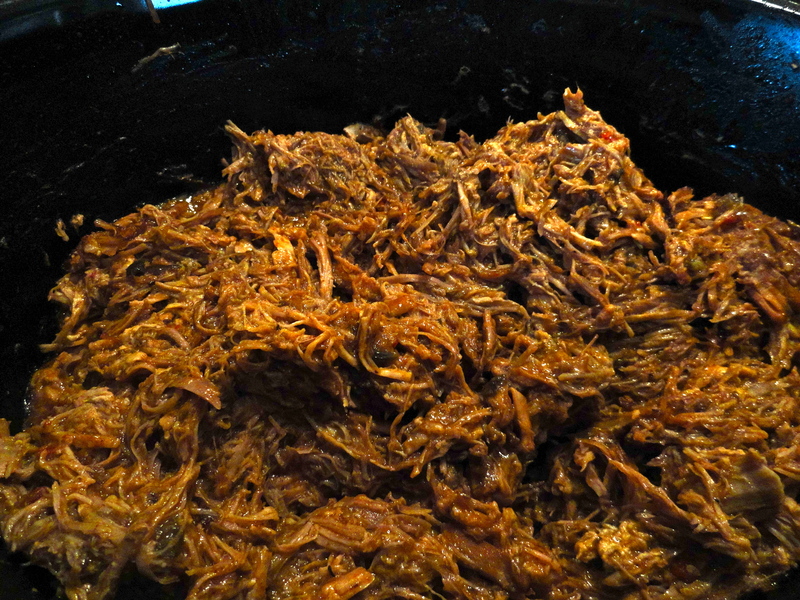 I planned on making some pulled pork sandwiches using a 3-4 lb pork shoulder in the slow cooker with some beer. I didn’t have any small bottles of our homebrew, and I didn’t want to use an entire 22 oz bottle (seeing as though it was 7 AM before work, it probably wouldn’t have been the best idea to drink the rest of it 😉 ). So I grabbed a bottle of black cherry soda that had been in my fridge for probably close to a year and prayed for the best. I’ve seen several similar recipes using Dr. Pepper or Cherry Coke, so I figured what’s the worse that can happen? It actually turned out really well, but I couldn’t even taste the black cherry soda – sort of a disappointment, but the meat was tender and flavorful (too spicy for some, but that is easily adjustable). After cooking and shredding it, I removed the bone and added some BBQ sauce. Not homemade, but maybe that’ll be on my list for next year. I like Ken Davis BBQ sauce. It’s affordable, smokey, a hint of tangy, and no spice (you might be thinking what has happened to me, but really it’s just because I can add my own heat, but others can’t take it out if it is already in the sauce). I served Nicole, from Prevention RD’s, bacon coleslaw with the pulled pork sandwiches. I didn’t put the slaw on my sandwich that night, but I did with the leftovers, and boy did I miss out before. 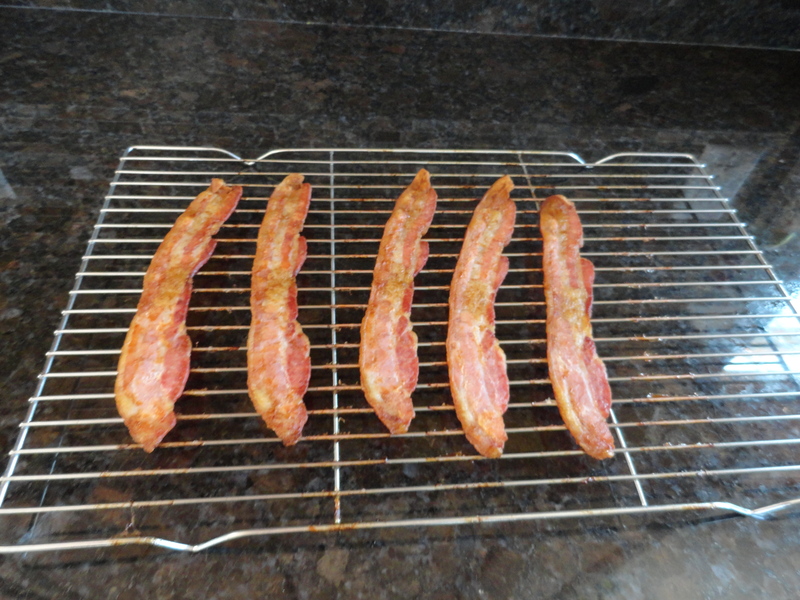 What a great combination – and bacon on pork? Oh yeah, I did it. What would you have made for a fantasy football draft? 1. 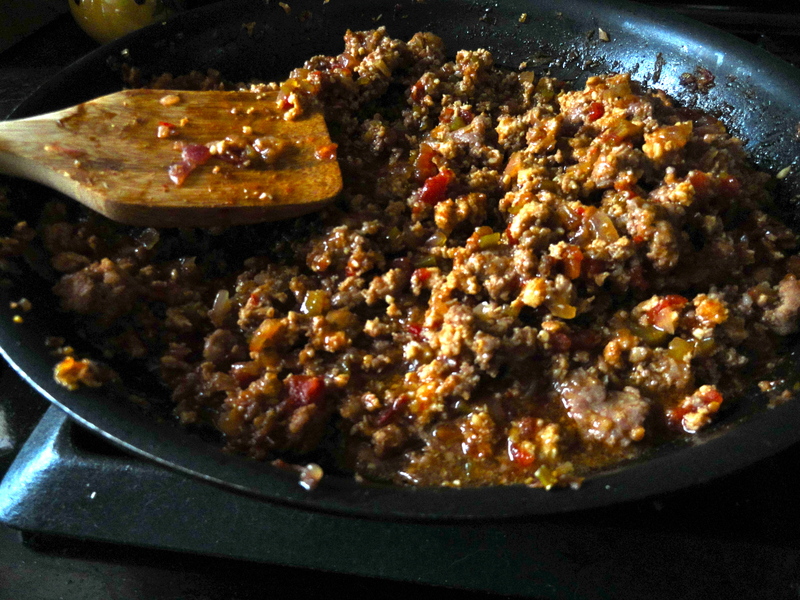 In a small bowl, mix cumin, garlic powder, oregano, jalapenos, chili powder, pepper and salt together. Sprinkle generously over pork and drizzle with olive oil. Rub in seasoning so it is evenly distributed. Place pork in slow cooker and add soda. Cook on low for 8 hours. 2. Drain juices. Shred pork with two forks or in a stand mixer (I removed a lot of the fat on the pork so it wasn’t mixed in before shredding). If you used a shoulder, be sure to remove the large bone. Add BBQ sauce and hot sauce to taste. Season with more salt and pepper if desired. 3. 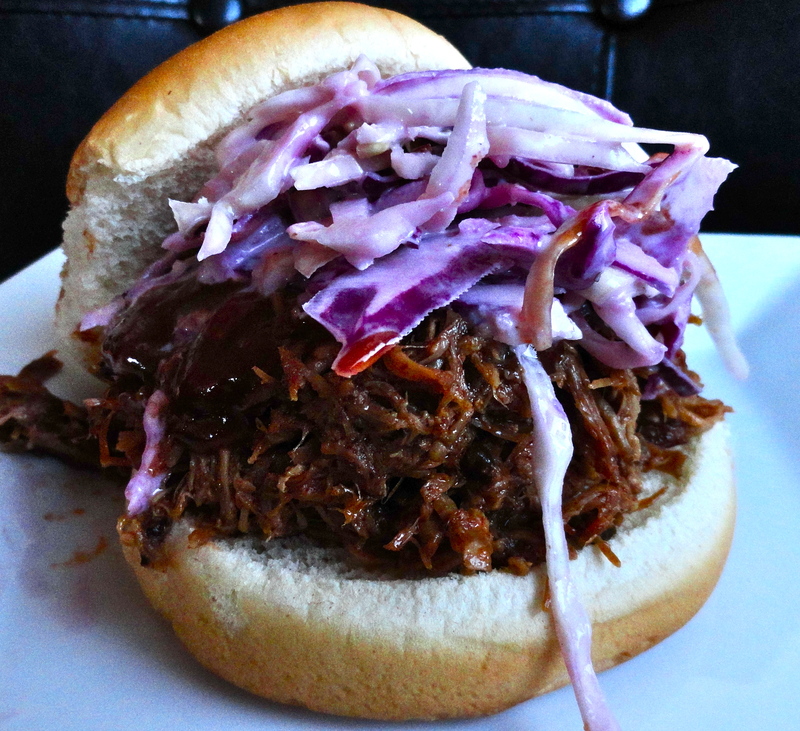 Serve pulled pork on buns and garnish with additional BBQ sauce, hot sauce, and/or coleslaw as desired. 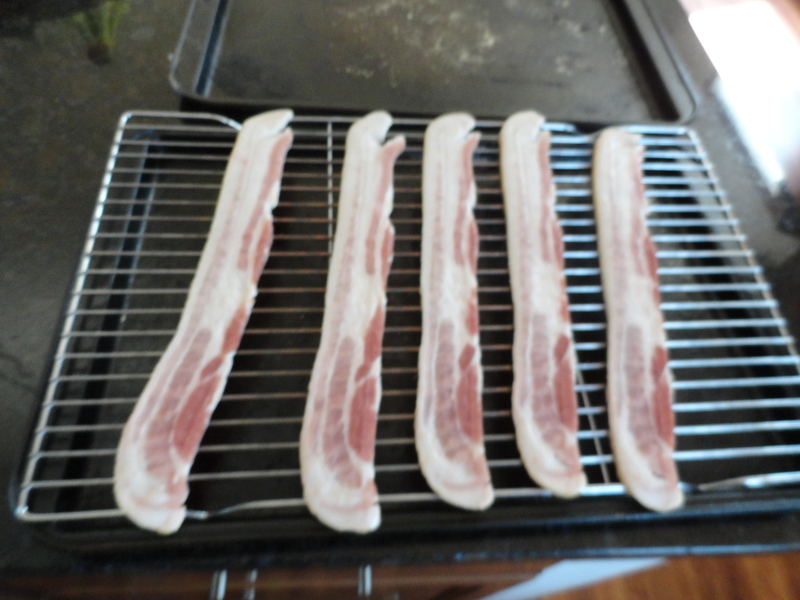 There is absolutely nothing wrong with pork, of course unless you’re Jewish or Muslim…or don’t eat pork for any other personal beliefs – the latest I’ve heard was that some people don’t eat pork because pigs don’t sweat. I’m not sure of the connection there, but hey, to each their own! Anyway, my point is that I don’t typically eat a lot of it. If you’ve followed my blog at all, you’ll see a lot of chicken, turkey, and seafood. However, I like changing it up from time to time, plus I had these pork chops in my freezer from Nate’s mom that I wanted to use up. 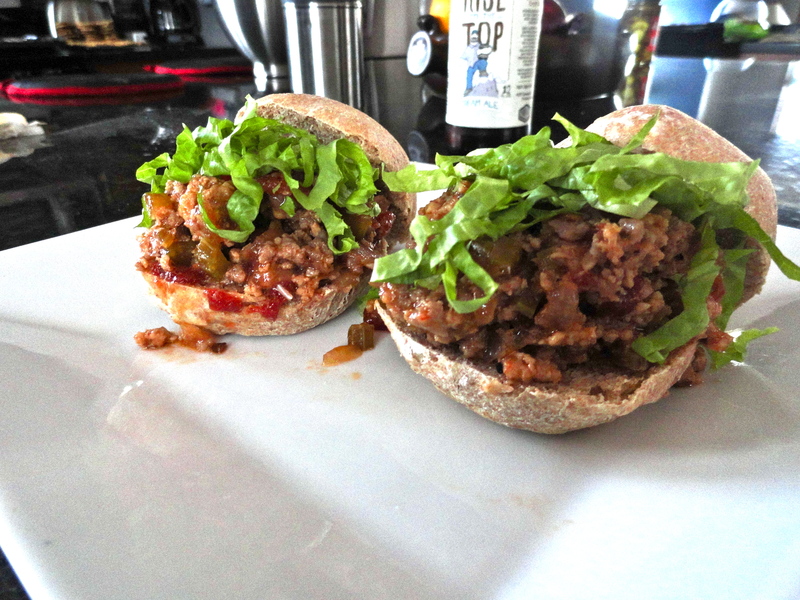 Great news for me, is that I just saw this recipe posted on my What’s Cooking board, which promted me to whip these up. An added bonus is that I already had all ingredients at home (well, I thought I did, but poor Nate had to stop and get some honey on his way home – he’s the best!). Seeing as though I rarely cook pork chops, I followed the cooking time pretty precicely, at least for the first side. I should have trusted my instinct and flipped them sooner. Oh well, only one side got a little dark. These were super fabulous and crispy with a nice tender center. 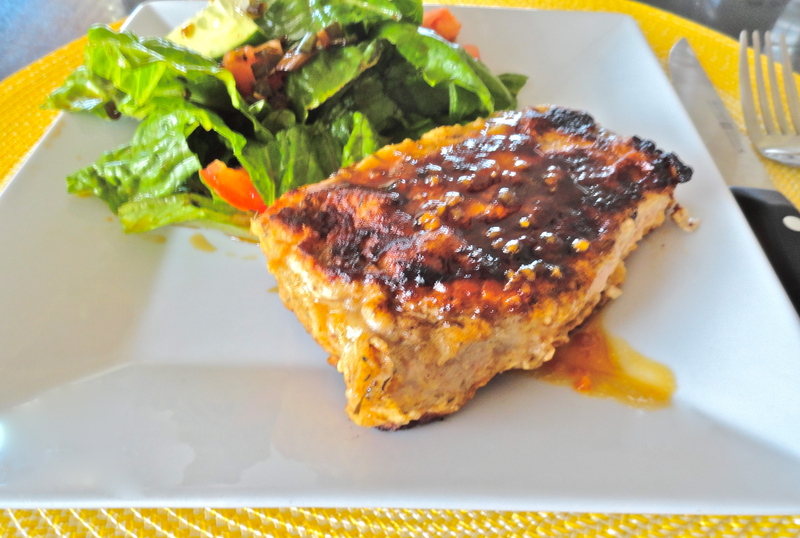 The sauce was amazing and could be used for chicken or fish…mmm, salmon would be great! The only thing I would change for next time is to add a little sriracha in the sauce for a kick. It’s perfectly fine on it’s own, but you know I like things spicy! 1. Season pork chops with salt and pepper on both sides. In a shallow dish, combine flour, nutmeg, thyme, sage, and paprika. In another shallow dish, whisk egg, milk, and ground ginger together. 2. Dredge chops in flour, shaking off excess, then into the egg mixture, making sure to completely coat the chop. Let excess drip off, then dredge in flour mixture again. Repeat for remaining pork chops. 3. In a large frying pan, heat enough olive oil to just coat the bottom over medium-high heat. Once oil is hot, place coated chops in and cook about 6-8 minutes, flip, and cook for another 6-8 minutes. Chops should be completely cooked through and just starting to turn dark brown. 4. In a small sauce pan, heat 1 tsp of olive oil over medium heat. Add garlic and saute for 2 minutes. Add honey, soy sauce and pepper and simmer over low heat. Whisk mixture continuously, it will bubble up, but you don’t want it to boil over. Simmer for 5-7 minutes, remove from heat, and let cool for at least 2 minutes. Sauce should be slightly thick and sticky. Serve pork chops topped with honey-soy sauce. I’ve had this recipe in my pile of “to try” for a few weeks now, and I’ve been waiting for a great time to make it. We had a wonderful couple over for dinner last night and I figured it would a perfect time! I found the recipe at Prevention RD, which has some phenomenal healthy recipes. I marinated the pork and Nate grilled it (under my supervision of course). 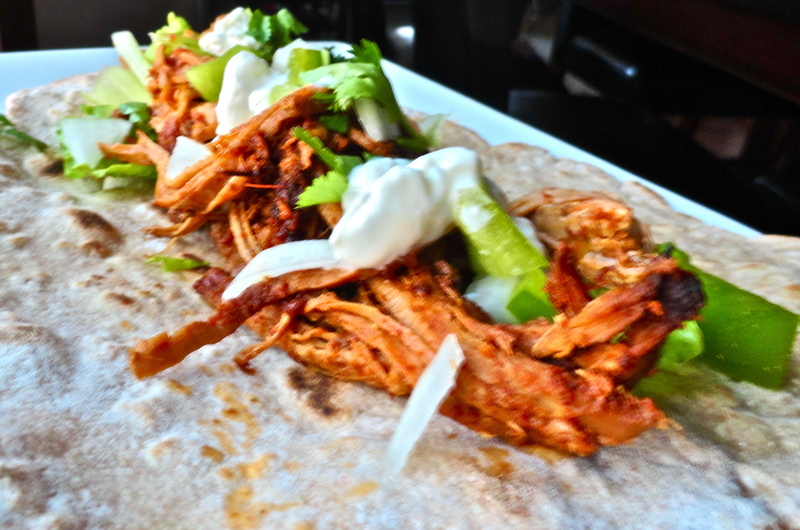 The only change I made to the original recipe was that I added about two tablespoons of sriracha to spice it up. I probably could have added more for my taste, but I wasn’t sure if our company liked spicy food. 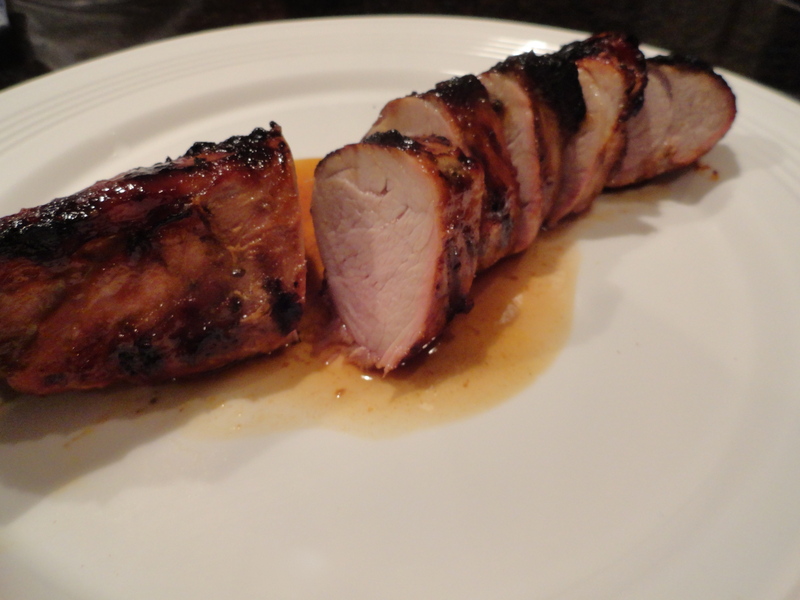 The marinade caramelizes on the grill to make a slightly crispy in spots, but the inside was so juicy and tender. This is an excellent entertaining meal, but so simple you could make it for a casual dinner on a weekday night. 1. In a small mixing bowl, mix together all ingredients except the pork. 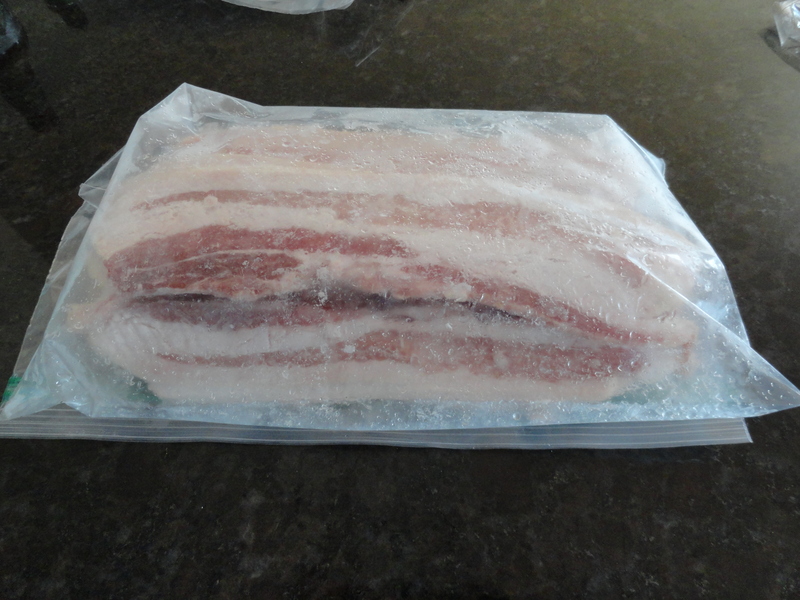 Place the pork in a large plastic bag, and cover with marinade. Massage the pork to work in the flavors. 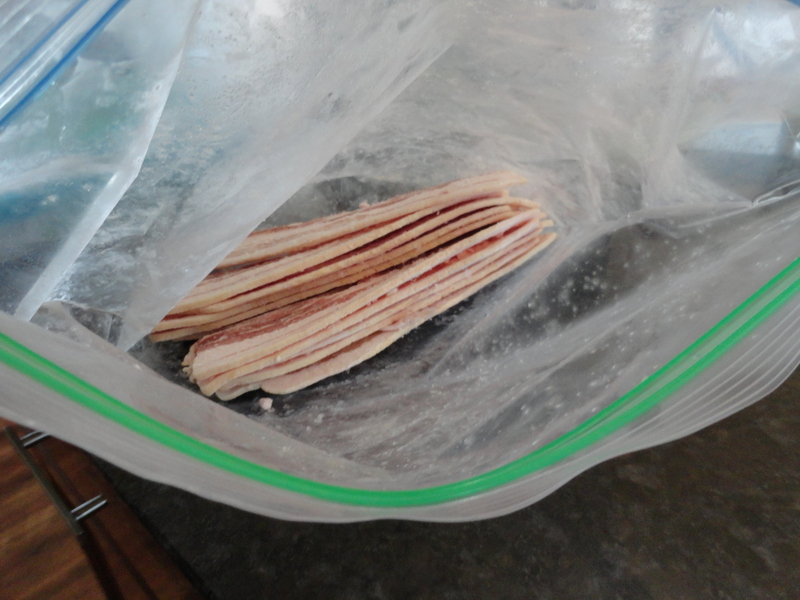 Let pork marinate for 12-24 hours in the refrigerator. 2. Heat grill to medium heat. When ready, turn the heat down to a medium low and grill the pork on each side for about 8 minutes. 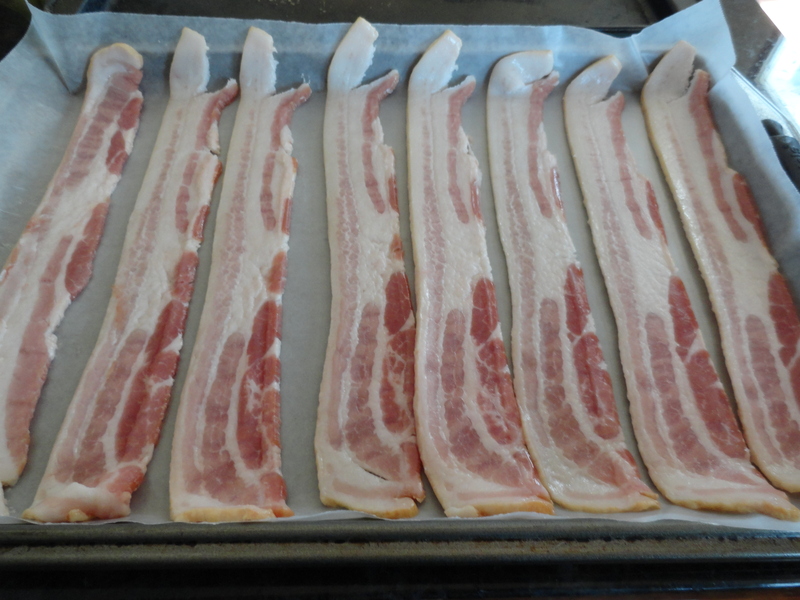 Let rest for about 10 minutes before slicing on the bias and serving.